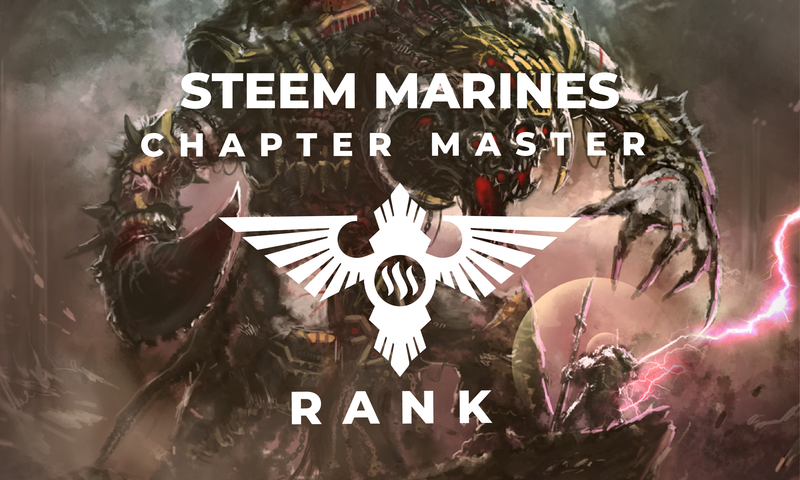 STEEM MARINE Chapter Master Rank - Become the greatest supporter! In an age of overwhelming darkness..
Where suns are blotted out by the uncounted, worlds steeped in the dark by the ravenousness. The fate of inevitable consumption of every biological microbe looms over the horizon, like a dark storm. Where whole worlds shake and crumble to the endless unceasing battle cries of the savage Xenos. Stomps of the green tide, the savage, and eternal. Where reality loses all meaning. Where entire solar systems are plunged into unyielding madness and horrors, brought on by unthinkable powers of endless destruction. The warp storms strengthen and consume entire systems, trillions of lives, snuffed out at an instant. Where the word hope has no meaning, and man looks to the stars and weeps. Where the word War no longer means conflict, but a struggle to survive. In this Grim Dark future, there is only war... And Darkness. It is in this dark time, the knights powered by Steem will rise. And with them, one of the greatest hopes of humanity, their Chapter Master. The strength and will of a Chapter. He is the icon of his space marine brethren. The lord commander. Forged in the fires of uncountable wars, tempered in victory experience and wisdom. The Chapter Master bears the burden of not only 1,000 of his brothers in arms, but the trillions of lives that will ultimately be influenced by his choices. Dorned in the most eloquent and advanced armour. 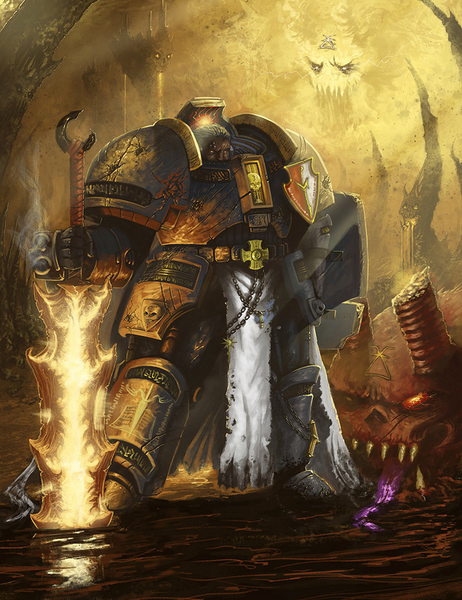 The Chapter Master is an ultimate icon of hope in an age stripped of hope. Why would you want to become a CHAPTER MASTER? If you're asking this question, most likely, it's because you could become one if you wanted. This content is not just about a hobby tabletop wargame. It's about showing the world what STEEM is capable of in a unique way. It's about showing the world, steem can make anything possible. By Setting and forgetting a simple setting on a website that costs you 1-5 minutes, you are proving to the world, that unique ideas and great content is can be valuable, no matter what type of content. You're proving to the world that STEEM is worth investing into. Because STEEM rewards creativity and innovation. Not only are you going to help build a new community of like-minded interests, but you're going to spearhead it and expose it. It costs you nothing but your support. And if it's not going to be you, it will be someone else. The Chapter Master rank is reserved for the biggest holders of SP who want to see this project succeed.. This rank is reserved for the innovative and most open-minded of individuals, who wish to see their investment grow by supporting unique projects that showcase and bolster the value of their investment. There can only be one Chapter Master. The Chapter Master's role in the lore and produced content is extremely important. It's by his vote that this project will receive exposure throughout the steem platform and provides a means of funding for expansion and raising the quality of produced content at no cost to them. Chapter Masters will have a unique model customized to them, converted and crafted to perfection. They will receive this model along with a copy of fully assembled and hand painted current roster of the STEEM MARINES. They will then continue to receive fully assembled and hand painted miniatures relative to any and all expansions done in the STEEM MARINES expansions and campaigns as long as they are voting for the content. You will be Granted the all-important role of Chapter Master, which there can only be 1 of in existence. Which means, a great deal of lore and spotlight will be on you. And you will be presented with choices that will influence narratives and future lore. You will also be granted the title of CHAPTER MASTER on our discord server. Q: What if it's a group that wants to support this project and wants to get the benefits of the Chapter Master? A: There can only be 1 chapter master, but if you are in control of an account that fits the requirements, and it's a group rather than just one person, we can implement the whole group in the form of 1 Chapter master and his honour guard (An Elite group of high ranking people charged with guarding the Chapter master). Keep in mind 1 person has to have the title of Chapter Master, and only one set of rewards can be sent out. Q: What does the Revenue of my support go to? A: In the past, I used Steemit rewards to help support myself. That is no longer the case. All revenue from this project will be invested back into the project and be used to hire talent within the Steem/Steemit platform. Funds will be used to commission creatives and Artists, as well as expand the project as needed. 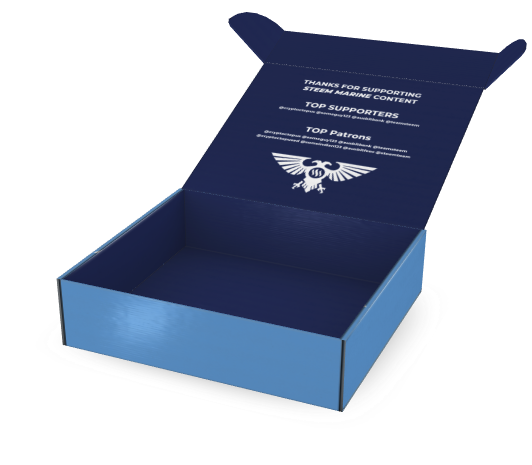 Funds will be used to expand production and purchase studio equipment, Tools, Paint and Models from official Gamesworkshop stores. Additionally, funds will be used to give back to supporters in the form of rewards gifts such as the ones mentioned above in this post. Q: Why are you doing this content? What's your angle? A: I am adequately self-sustained. But even so, I am heavily invested into both the Steem/Steemit platform. I'm not a programmer, I'm an artist at heart. I genuinely believe that the best way to help boost the value of these platforms is to show off creative and innovative content. As well as stimulating the internal market with commissions and jobs. Q: What happens if I support your content with my votes but decide not to for any reason? *A: This is actually a very good question. While it would be very disheartening for us, we understand that sometimes, things happen. Monthly Chapter Master rewards would stop. And your character will fall. When your character in the lore falls and is elite enough, he will be honoured as Dreadnought. 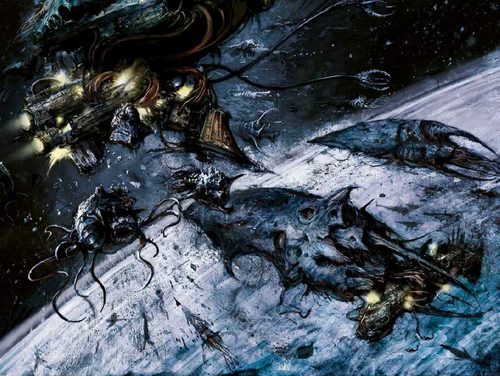 Since Dreadnoughts are fallen warriors barely alive they lose a lot of what makes them human and are more machine than human. Your fall will be written about in a tasteful manner but will influence the narratives of the campaigns. The slot for the next Chapter Master will open up. Q: Do I have to pay anything for the Chapter Master rewards? A: Not at all. Since this is not a sale of any kind, and much more a personal gift composed of things that I have created or someone I have commissioned to create, it's not commercial. You won't even have to pay for sales tax or even shipping. I will handle all of it. Q: Are there any other ways I can support your project? A: Absolutely, you can follow my curtrail as there will be side campaigns that supporters can play, and more curtail means more rewards spread out. This is however totally optional. Q: Malicered? Have I heard of you before? A: It's possible, I work as Support lead for @privex, and deal with high profile individuals regularly. Chances are, if you have a server with privex, we've talked before, in that case HI! 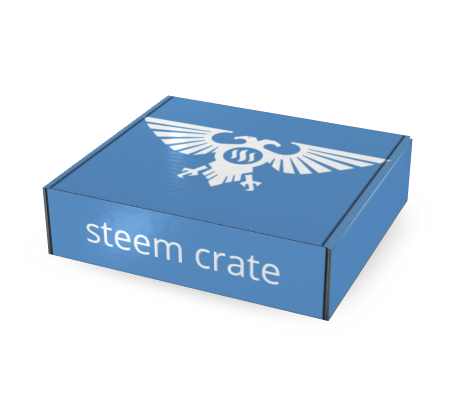 Q: How can I get started on becoming the Chapter Master of the Steem Marines? A: I have created a very simple easy to use guide on how you can set up an auto-vote, and forget its even on. Check that post out here! Q: Can I talk directly to you about any of this? A: Absolutely, I welcome any voice to voice or even text to text conversations with my supporters. Just come to this discord and let me know! A: All support is welcome, big or small. It brings us together and focus on what's important. Maximising Steem value, and having a whole lot of fun while doing it by producing genuinely good content. I am on the whiteboard with an almost equally beneficial rank that one can achieve with Patreon, for those of you who can afford to throw down some serious support, but don't have 1 million SP. One thing I would like to say about this though, I really encourage you guys to start buying some STEEM and powering up, as you couldn't invest into a greater thing! I know this seems insane! But I assure you, I'm just laying the foundation, that's all. I'm putting it out there just in case. Congratulations! This post has been upvoted from the communal account, @minnowsupport, by malice from the Minnow Support Project. It's a witness project run by aggroed, ausbitbank, teamsteem, theprophet0, someguy123, neoxian, followbtcnews, and netuoso. The goal is to help Steemit grow by supporting Minnows. Please find us at the Peace, Abundance, and Liberty Network (PALnet) Discord Channel. It's a completely public and open space to all members of the Steemit community who voluntarily choose to be there. You got a 0.94% upvote from @postpromoter courtesy of @malicered! This team and project have more than shown me that they have what it takes to cause a rumble in the bowels of the steemit community, the steem community won't know what hit em! The lores are well crafted I must commend and this is a calling to all the master writers out there, who will it be? A pleasant day to you @someguy123, I am @princessjoyesto and i want to tell you that I vote you as my witness. thank you for the consideration and have a good day ahead. Aw man... if I had the funds I would absolutely smash this down so hard!